To enter the competition you must email editor@putneysw15.com by noon on May 14th 2014 with your contact telephone number and your answer. Mark your email as Maile competition. Q: Which fairy tale heroine's wicked step mother tried to kill her with a poisoned apple? Unlucky this time? The book is available from Waterstones & Amazon.co.uk and to order from all good bookshops. If you would like to buy a signed copy of the book email Kathryn Maile whilst stocks last. 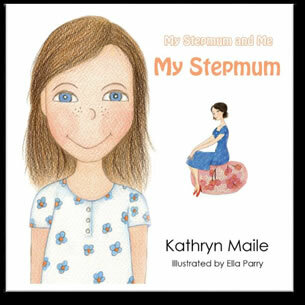 My Stepmum is the first book in the My Stepmum and Me series of illustrated young children's books that explore the relationship between children and their stepmothers. Ideal for reading together, this charming book aims to encourage a positive view of an increasingly common family unit. Most importantly, it sets out to prove that not all stepmothers are wicked! Kathryn Maile is a devoted mother to one son and three step-children. Originally from Ireland, she came to the City of London to pursue a financial career until deciding to put her parenting experiences into writing. 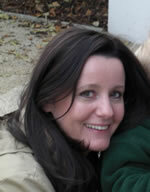 Kathryn is a firm fan of living in Putney: "As a family we love living in Putney. Everything we need is on our doorstep or within walking or cycling distance. We are very lucky to have a cinema on the high street and are spoilt for choice when it comes to family friendly restaurants. Nandos is a firm favourite with the children while my husband and I enjoy dining together at the Popeseye on the upper Richmond road. She continued: "From parks, playgroups and a variety of classes there is a lot to choose from in this family friendly town. A town which manages to retain a community feel thanks to the friendliness of the local residents." She is happy and loving, especially to me. Her Stepmum series aims to dispel the evil step-mother stereotype and help young children to grow closer to their step-parents. 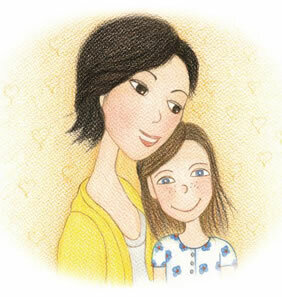 Her next book, My Stepmum and Me: A Boy’s Tale, is coming soon.